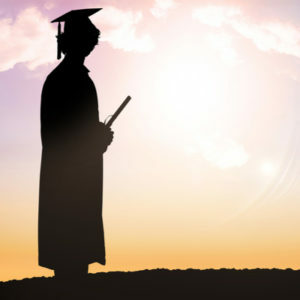 With new regulations from President Trump and Hensarling’s Financial CHOICE Act, the future of the CFPB is in doubt and it is likely that student loan forgiveness programs will see big changes. The Consumer Financial Protection Bureau, a consumer watchdog created under the 2010 Dodd-Frank Wall Street Reform and Consumer Protection Act, is already close to being completely gutted. But the bureau isn’t giving up on consumers just yet; it is now focusing on protecting student borrowers and fixing the Public Service Loan Forgiveness Program. The Public Service Loan Forgiveness Program (PSLF) was finalized in 2007 under the administration of George W Bush. It promises to pay off student debt for public servants after 10 years in the workforce. The PSLF program encourages degree-holding Americans to pursue (usually lower-paying) public service positions. October 2017 should see the first eligible borrowers repaid by the government. According to the CFPB, 25% of the U.S. workforce is in a public service position. Up to 86% of those positions earn less than $75,000 a year and two-thirds less than $50,000 a year. And so far, more than 500,000 people intend to pursue debt relief through the PSLF program. This includes social workers, teachers, first responders, nurses, other public health professionals, military, Peace Corps, and AmeriCorps. The PSLF Program has attractive features, yes, but many people have problems navigating the system. After receiving thousands of complaints from borrowers over the year, the CFPB has updated the guidelines for examining loan services. Their report, titled “Staying On Track While Giving Back”, was issued Thursday, June 22, 2017, and showed a 325% increase in student loan complaints. These complaints highlighted payment processing errors and misinformation as the main problems causing delays and denials of promised debt relief. The increase in complaints from US consumers is not surprising given the skyrocketing national student debt. The CFPB published general updates to examining criteria and new guides for first responders and teachers to help navigate the program. The new examining criteria will help to spot lenders who don’t put the interests of PSLF program participants first. Borrowers will be better informed of their requirements and obligations and offered all available tools based on the new guidelines. Included in the plan is also the Certify Your Service campaign to help student borrowers working in public service stay on track for loan forgiveness. At FeeBelly, consumer protection is always on our minds. (And for good reason, do you know what they put in fine print these days?!?) These recent efforts to educate and protect borrowers are a good example of the necessity of the CFPB. 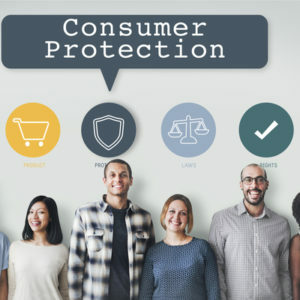 The upcoming vote or new proposal from the US Senate on the Financial Choice Act will decide the fate of the CFPB – and ultimately the protection of consumers. But until then, we encourage you to take advantage of free contract review apps, free information, and your rights to be protected.